This is the first in the Kick Off Your Shoes Series. 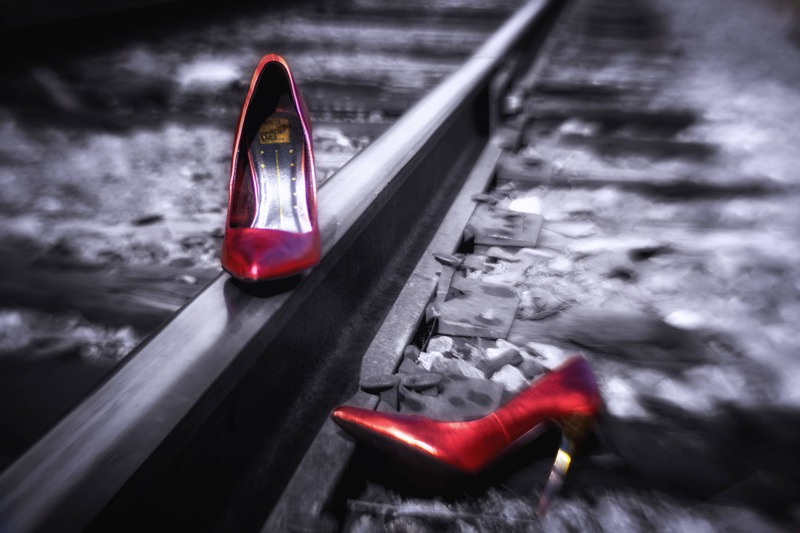 Red and gold high heels on the railroad track. 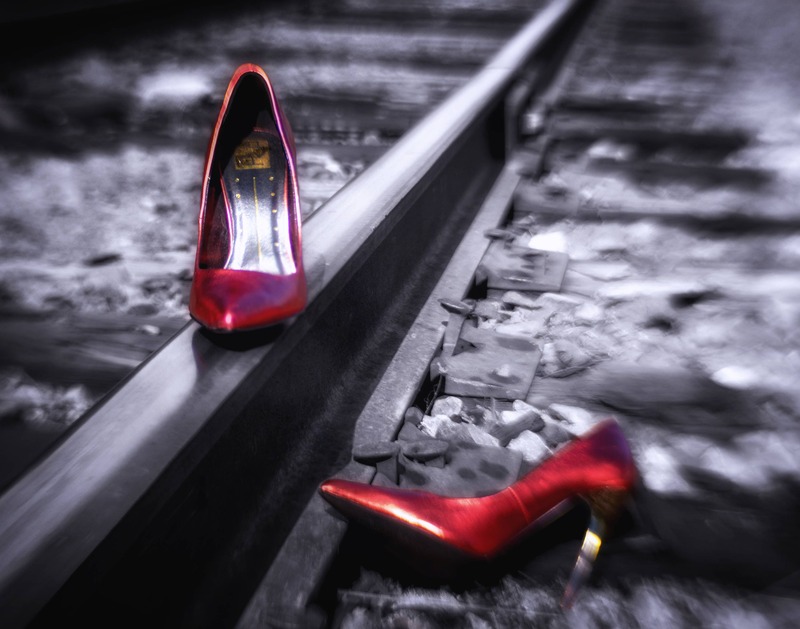 Pointy toe Stiletto's or High heel shoes.